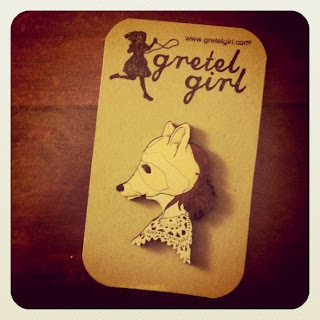 Life has been happily busy in the past month... New Gretel Girl brooches have been designed, made & are now sitting in some lovely Adelaide shops.... some are even pinned on your coats (thank you so much for buying my brooches!) 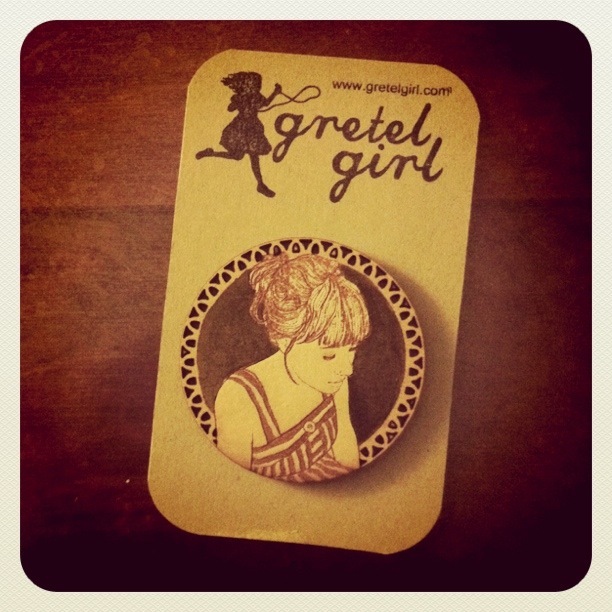 A second series of brooches have been designed & are currently being made. These will be for sale at Bowerbird Bazaar.... yes, yes, yes... 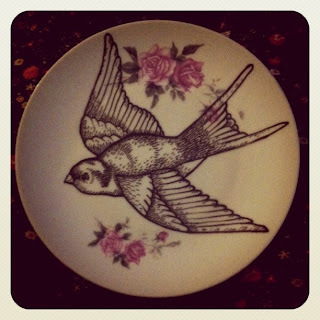 I have been doing my happy dance at the news of being accepted into Bowerbird Bazaar. With less than 4 weeks to go, I am pretty much spending every spare moment making, drawing, sewing, creating. 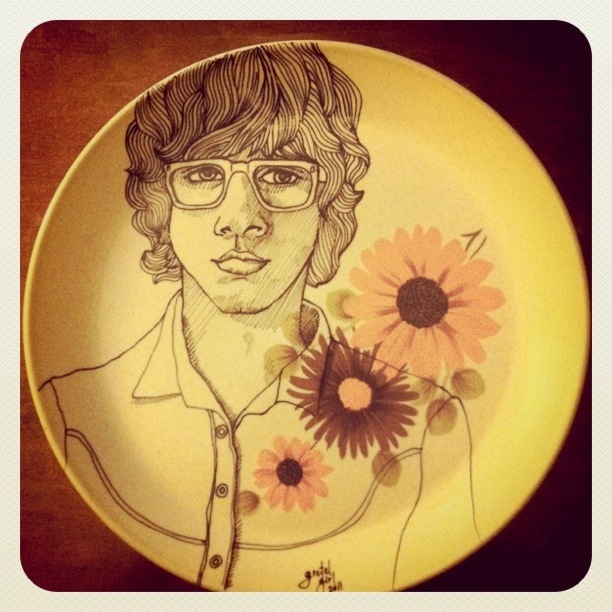 A couple of weeks ago I was reading a Frankie Magazine (*sigh* I love Frankie) and saw a ceramic plate decorating article by Pip from 'Meet Me at Mikes'. I was inspired and immediately bought a ceramic marker & started illustrating plates. The plates are dishwasher safe & would be quite happy either hanging on your wall or perhaps serving up your breakfast toast! I have to admit it has been quite lovely & challenging just free-drawing - I cant sketch an outline first, there is no eraser or delete button - I kind of just cross my fingers & see what happens. 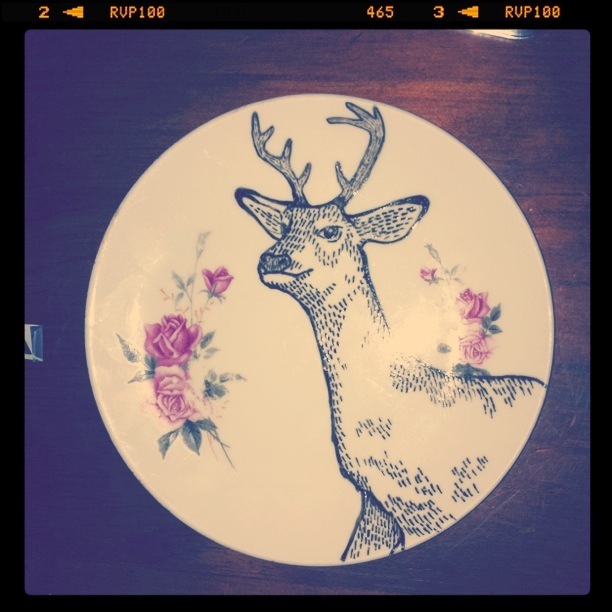 I love these plates. If they don't sell at Bowerbird, I will be quite happy to have at home! 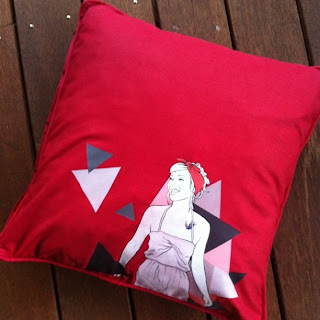 I have continued to pursue illustrating cushion covers & when I cant find the right cushion cover in an op-shop, I am making my own by up-cycling curtains & tablecloths & tea towels. Isn't it nice that art can be functional too? Now Gretel Girl has something you can throw on your couch; something you can pin on your jacket; something you can serve cake on; and something to hang on your wall. What a busy month is has been... a very fulfilling, wonderful, messy, busy month & Im sure the next 4 weeks will just be a blur too. Will you be in Adelaide at end of October? Hopefully I will see you at Bowerbird Bazaar. everything you create is so perfectly stunning Tracy! 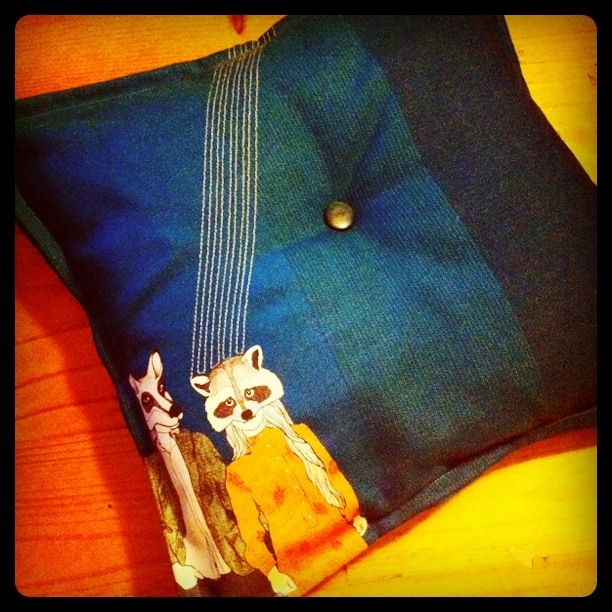 the fox brooch, deer plate, and raccoon mask pillow are all absolutely amazing! oooohhhh, how do I get a brooch!! !